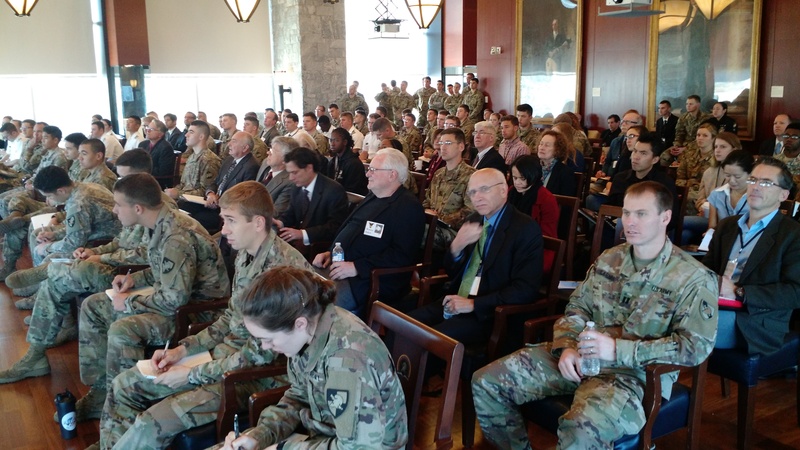 This weekend I attended a three-day conference entitled Ethics of War and Peace, held at the U.S. Military Academy at West Point. I’m feeling both exhausted and energized/empowered to have once again been the sole pacifist at this annual conference co-sponsored by Villanova University. I did a great deal of preparation for the conference and appreciate that I had opportunity to present my reflections and be heard both at plenary and breakout sessions. 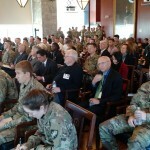 Most attendees were academic philosophers specializing in just war theory, plus cadets and Villanova students who were philosophy majors. There were about 75 of us in all. I wore my “Support our troops: Bring them home now” and Peace/Cross buttons the entire time — quite visible. I mentioned in a final plenary session, somewhat jokingly, that it was reassuring that I passed the security check so that I could attend this conference (West Point is a military base). I said it was reassuring because I may still have warrants out for praying in the driveway of the world’s largest nuclear contractor or for not paying some of my taxes but instead sending that money to disabled American veterans (DAV charity). I hope that I didn’t say so much as to lose my listeners, but I think/hope that by then most people recognized the nature of my peaceful calling. I truly appreciate that they put up with me and that you don’t get shot in this country for saying such things – but that’s all the more reason to feel responsible to speak up and express your values. I used to speak primarily to Quakers, but now I think it’s particularly valuable to speak in places where my message is new and invites questioning and reflection. In the past I probably had too much fear to do this. Now my only fear is that I will present the message poorly because I am not as mentally alert as when I was younger. I am grateful that my role as a respected faculty member at Villanova (now retired) enables me to enter these environments and I hope to keep at it for as long as I am able.